We’d love your help. Let us know what’s wrong with this preview of Windsinger by A.F.E. Smith. Ayla has been framed for murder and the peace betw The third instalment in the Darkhaven series. To ask other readers questions about Windsinger, please sign up. In a land where wars can start for power, greed, or no reason at all, Ayla has the opportunity to engage in treaty talks with the representative of Sol Kardis. In an effort to convey trust and personal caring, Ayla, offers a private chat with the Kardise ambassador, serving the precious and rare taransey. Imagine how it looked when the next morning, the ambassador was found dead in his chambers. Ayla had the means, and fast becomes the prime suspect by the Karise contingent. When the investigati In a land where wars can start for power, greed, or no reason at all, Ayla has the opportunity to engage in treaty talks with the representative of Sol Kardis. In an effort to convey trust and personal caring, Ayla, offers a private chat with the Kardise ambassador, serving the precious and rare taransey. Imagine how it looked when the next morning, the ambassador was found dead in his chambers. Ayla had the means, and fast becomes the prime suspect by the Karise contingent. When the investigation proves that the taransey was poisoned, what originally makes no sense, now has become an urgent hunt to find who and how the poisoned was added. With war now on the horizon, Caraway must muster his finest to discover proof that Ayla is innocent. If Ayla is innocent and the Kardise contingent is innocent and no outsider was seen lurking about the castle, could a third party be stirring the pot to take advantage of the coming battle? A Parovian airship is on the way. The Windsinger has its sights on kidnapping the heart of Mirrorvale, making them more than just a buffer between Sol Kardis and Parovia. Treachery is coming from the skies and Ayla must defend her people, and all of the innocents that will be lost. The creature the feared will now become their savior, but at what cost? As the chaos continues in A.F. E. Smith’s Darkhaven series, WINDSINGER may be the most chaotic and treacherous of all. Fierce battles, a woman reluctant to change her form must use her powers to their fullest to take lives in order to save her people and those she loves. The price must be paid for love, loss, deceit and treachery and for some, the price may be too high. Action, emotion, murder, mystery, it’s all here in another tremendously written fantasy by A.F. E. Smith! I received an ARC edition from A.F. E. Smith and Harper Voyager in exchange for my honest review. Windsinger is a really good and tense third book in the Darkhaven series. It is full of politics, action, murder and an intriguing story. However, it did feel slow to start but really picks up towards the middle of the book. I really liked the way Ayla has grown and is able to balance all aspects of her life and is still able to be a wife and mother as well as a ruler and defender. Caraway lacks confidence and that all of Thanks to Netgalley and HarperCollins UK for giving me this book to review. I really liked the way Ayla has grown and is able to balance all aspects of her life and is still able to be a wife and mother as well as a ruler and defender. Caraway lacks confidence and that all of who he is down to luck not skill or his instincts. However, I found Miles to be the most interesting character as I really felt for him and the dilemma he found himself in. I really enjoyed this book and I hope there will be more books in the Darkhaven series in the future. I would recommend Windsinger to fans of the previous books in the Darkhaven series, Darkhaven and Goldenfire. The review is going to highlight the third book in the series, Windsinger, as I have received an ARC of that book from Harper Voyager via Netgalley. The first two books are from my collection, and I will write those reviews later, in future. My opinion is my own and not influenced in any way. Ayla Nightshade is the anchor for the series. Each book builds up around her, but the focus is spread across some secondary characters, all of them developing gradually with the progress of the series, and all of them playing important parts in each book. Multiple POV isn't something I enjoy. It can be repetitive, tedious, and confusing. However, it was quite appropriate for Windsinger. Each book can be read as a standalone, the reason I liked them so much. No cliffhangers to make you curse the author to a wyvern's mouth. The mystery builds up quickly. Emotion plays a significant role in the story. My favorites are the chapters on Ree's confrontation with her parents, and the final battle scene where parents take turns to sing a lullaby to a distraught child while fighting enemies in an aircraft. Neave Sparrow, Ree, Miles, are three of the most interesting characters from Windsinger. I love the way A.F.E. (remind me to send a spy to find out her real name, A.F.E. is so...) has worked with Mile's role. The dilemma in his mind that tears him up between his love, his delusions, his patriotism, is measured and perfect. 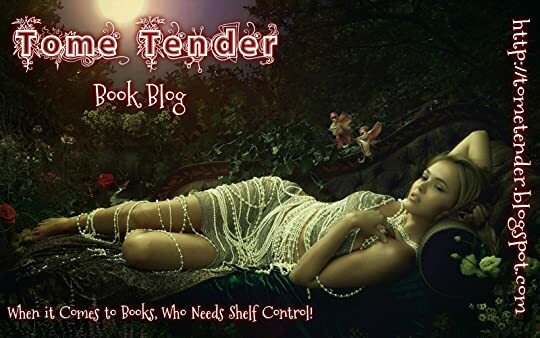 The author knows how to make her readers invest themselves into the characters. The chain of events involving each secondary character adds to the story, not just by bulk but into its skeleton. I will give you a simple example. Ree's fears, aspirations, prejudices, her parents' archaic (not so much, really) but typical behavior, all that would initially feel like a back story. It did to me, at least. Similarly, Neave Sparrow, Miles, etc. everybody gave us glimpses of their past lives through inner thoughts. Then, around half-way through the book, all those seemingly mundane tales of woe and joy started converging into the main story. The mystery that had built up as the vertebral column started gaining flesh. Soon, the book became a living, breathing creature, so alike Ayla herself. The romantic aspect of the book took a backseat making way for the action or suspense, giving this novel a real sense of fantasy-mystery-thriller. Every genre mixed into the brew feels carefully measured, never allowing the reader's mind wander away due to a varied taste. Do you like fantasy? You get chargers (alicorn is cool, but I am a hieracosphinx. Yep, I have taken the test). Do you like mystery? You get espionage, murder in cold blood, the framing of innocents. Hmm, let's see. What else? Do you like action adventure? Your wish has been granted. Romantic at heart? Want some emotions? The love between a married couple, parental love for children, gay lovers, an asexual person forced into marriage, nobody is left out. Everybody is allowed to live and let live in this world. One might have to fight for the rights, like the reality, but one will survive. The antagonists are believable. The schemes are logical. The conclusion feels justified. In a word, this book is a must-read for any genre lover, anybody who likes a well-structured story that will draw you in and not let you go till the end. Bloody brilliant! Even better than Goldenfire - and that's saying something! Windsinger is a tense, exciting continuation of one of the most entertaining series I’ve ever had the pleasure of reading. Smith’s writing is powerfully emotive (Windsinger had me shedding tears in more than once place) and her storytelling has rapidly evolved from good to great to WOW. a good ending for a trilogy! 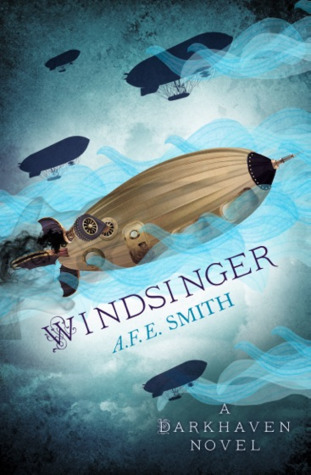 “Windsinger” eBook was published in 2017 and was written by A. F. E. Smith (http://www.afesmith.com/). Ms. Smith has published 5 novels. This is the third book in her “Darkhaven Novels” series. I received an ARC of this novel through https://www.netgalley.com in return for a fair and honest review. I categorize this novel as ‘R’ because it contains scenes of Violence, Mature Language and Mature Situations. There is a touch of LBGTQ romance in the story. The story is set in another world. The prim “Windsinger” eBook was published in 2017 and was written by A. F. E. Smith (http://www.afesmith.com/). Ms. Smith has published 5 novels. This is the third book in her “Darkhaven Novels” series. I received an ARC of this novel through https://www.netgalley.com in return for a fair and honest review. I categorize this novel as ‘R’ because it contains scenes of Violence, Mature Language and Mature Situations. There is a touch of LBGTQ romance in the story. The story is set in another world. The primary character is Ayla Nightshade, Overlord of Darkhaven. An ambassador from Sol Kardis is coming to Darkhaven. Nightshade must meet with him and convince him that a peace will be far better for both of their countries than the war towards which they are heade. All goes well, but the ambassador is murdered with evidence pointing at Nightshade as the perpetrator. Sol Kardis soon declares war on Darkhaven and hostilities begin. A huge Paravian airship, the Windsinger, visits Darkhaven. It is a wonder for all to see, but is there a hidden purpose in the visit? Nightshade, her husband Thomas, and others loyal to her must try to find evidence of who is behind the murder. Little do they know that they are also fighting forces from within bent on war. I thoroughly enjoyed the 11 hours I spent reading his 449 page Fantasy Mystery. While this is the third book in the series, it reads well as a stand-alone novel. I liked the characters and the plot of this novel. I will look for more books from this author. The cover art is reasonable for this bok given the part the airship Windsinger plays. I give this novel a 4.5 (rounded up to a 5) out of 5. Mirrorvale has long stood in a precarious ‘truce’ with the surrounding kingdoms; held together with the fear of the changers. Now not only overload but a mother, Ayla Nightshade attempts to broker a formal peace treaty with an ambassador from the neighboring kingdom of Sol Kardis. After one day of hard negotiations, the ambassador is found dead. Suspected of murder, the race in on to prove Ayla’s innocence and prevent all out war. Across the the three books (this is the third Darkhaven novel) the writing quality, world building, and character depth has been consistently entertaining and well executed. The build up is slow to a rip-roaring climax; leaving plenty of time to be intrigued and entertained. The characters are especially interesting in this outing, with even the side characters having story arcs ramping up several times to push them to the limit and end up with some great development. It can seem a little trivial in the grander scheme of things but it was good to get to know them. I do hesitate to give away too much and end up spoiling some pretty major plot points. Suffice it to say I am loving this series and hope to see more. 4.7 out of 5. Nice wrap up to the series. 4.5 stars. I feel like this series has become richer as it goes on. A lot of the things the characters said resonated with me. Also, I'm rather fond of the character of Naeve Sorrow, so I was pleased to see her get some playing time. This is a good series, and I'm pleased to have been introduced to it. I just realised one of the things I like most about this series. Although the books are sort of ensembles in that there is no one main character, I think Ayla Nightshade is as close to a protagonist as the series has. And the first book ends with her finding love which I find in a lot of books is the end of the character's arc. Like, the young girl gets her romantic happy ending and that is literally the end of her story, because girls are first and foremost in search of someone to love them rig I just realised one of the things I like most about this series. Although the books are sort of ensembles in that there is no one main character, I think Ayla Nightshade is as close to a protagonist as the series has. And the first book ends with her finding love which I find in a lot of books is the end of the character's arc. Like, the young girl gets her romantic happy ending and that is literally the end of her story, because girls are first and foremost in search of someone to love them right? But in this series that's only the start of Ayla's story. So in the second book we get to see the aftermath of the whirlwind romance and how the two people have to actually work out who they are as a couple. And in this book they're parents of a young family and it's just really nice to see a woman who's a mother AND a badass warrior who takes the form of a giant winged unicorn to defend her country at war. And both those things are shown as important which is good because when someone becomes a mother it's an important part of their life but it's not the ONLY part. Women don't suddenly stop having stories worth telling as soon as they give birth. (Also kudos for the breast feeding scenes, just little throwaway bits really but I haven't really come across actual breast feeding in fantasy novels before, which is kind of weird when you think about it). What else? This book has a lot to say for itself. The series has put down roots in that respect so that each book has more depth than the last. This one has a bunch of stuff about racism and immigration and war and prejudice. And of course there's still people of all genders and sexualities going about their business like you know actual people in the real world. One of the things I love about the darkhaven world is that diversity is so freaking unremarkable there. There are men and women and straight and queer and a bunch of different ethnicities because of course there are. Things are turned dark in DarkHaven. Returning to the Seven rings where mystery abounds and Alya and Tomas are on the verge of war with neighboring a neighboring country. A.F.E. Smith is a wonder at spinning a compelling mystery and turning the screw with new plot twists. Ayla Nightshade is now the Overlord of Darkhaven. She is the only adult Changer left; she can transform into a powerful Alicorn. Ayla has been working on honing her skills both in Changer and human form with the help of Miles, an alchemist and her husband, Tomas, the Captain of the Helm. Ayla finally feels like life is calming down, with her three children growing well and a meeting set for a Peace Treaty with an ambassador from the neighboring land of Sol Kardis, Ayla is fulfilling her role as Ayla Nightshade is now the Overlord of Darkhaven. She is the only adult Changer left; she can transform into a powerful Alicorn. Ayla has been working on honing her skills both in Changer and human form with the help of Miles, an alchemist and her husband, Tomas, the Captain of the Helm. Ayla finally feels like life is calming down, with her three children growing well and a meeting set for a Peace Treaty with an ambassador from the neighboring land of Sol Kardis, Ayla is fulfilling her role as Overlord. However, the meeting with Sol Kardis goes terribly wrong; after Ayla and the ambassador meet in private, the ambassador suddenly dies. Ayla is the only suspect and Sol Kardis declares war. Now, Ayla must go to the front lines with Tomas left to run Darkhaven and watch over the children while other members of the Helm frantically try to prove Ayla's innocence and figure out who is truly behind the war. This is the third installment in the Darkhaven series. Windsinger provided a fast-paced, action filled and suspenseful ride in the wonderful world of Darkhaven. I was very pleased to see Ayla grow into a confident ruler, expand her powers, be comfortable in her Changer form and have nurturing relationships with her husband and children. The suspense and intrigue grows right from the start as Ayla meets with the Kardise ambassador. A twisted political scheme is set forth that involves many of the characters that I have gotten to know over the course of the series. I was glad to see Sorrow, Zander, Ree and Art have important roles. As the war rages on, I was also impressed to see Ayla in Alicorn form use her powers. As the end approaches, the tension rose to the point that I did not want to put the book down. I was surprised at all of the players tangled up in the scheme and how they thought everything would play out. Another awesome installment into the fantasy world of Changers and Darkhaven.